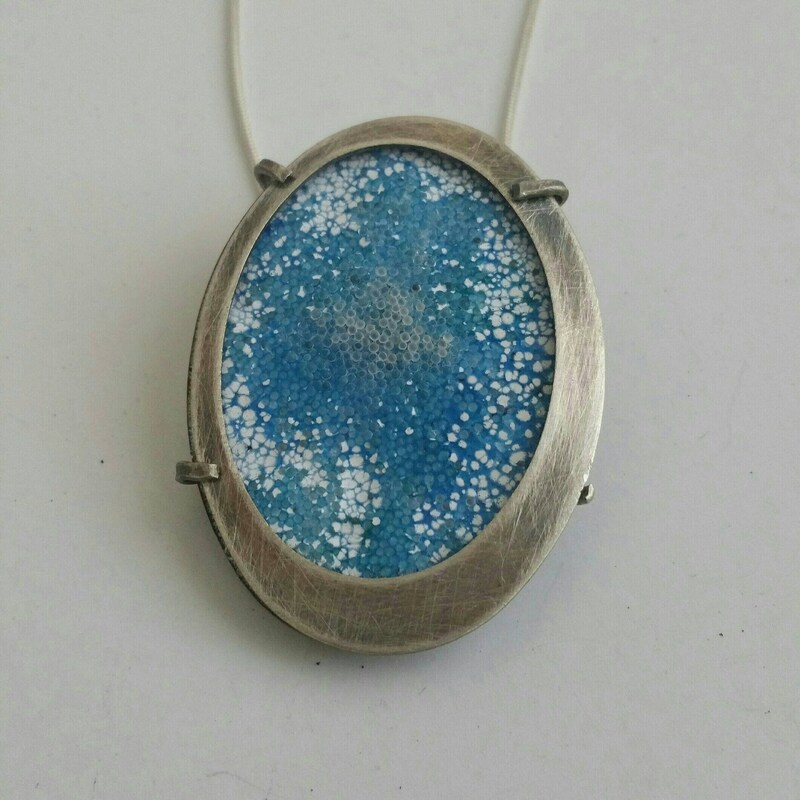 Gorgeous blue and white enamel copper with sterling silver setting pendant. Created completely by hand. An oval piece of copper was hand cut and filed. 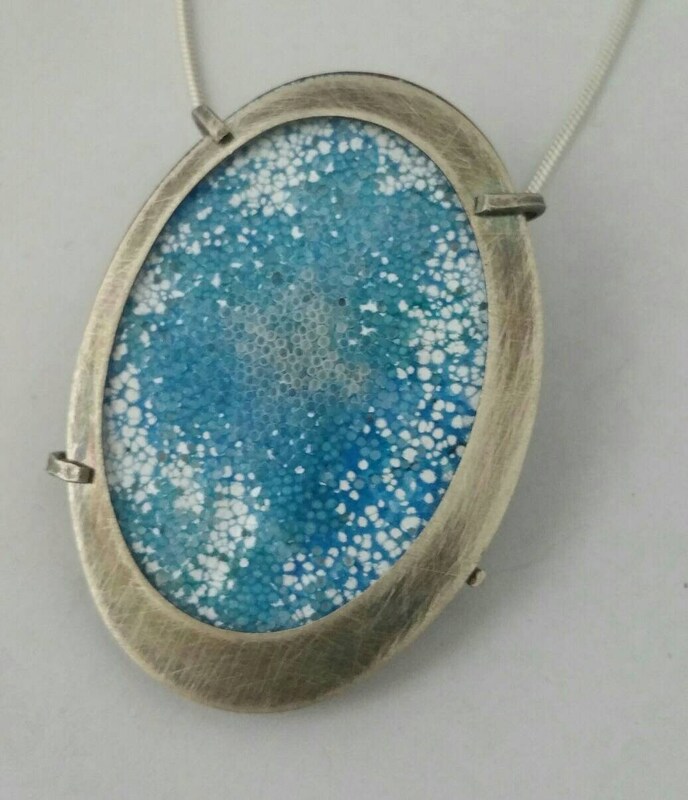 White vireous enamel (powdered glass) was sifted onto the copper and fired in a kiln. It was then etched to give a matte surface. 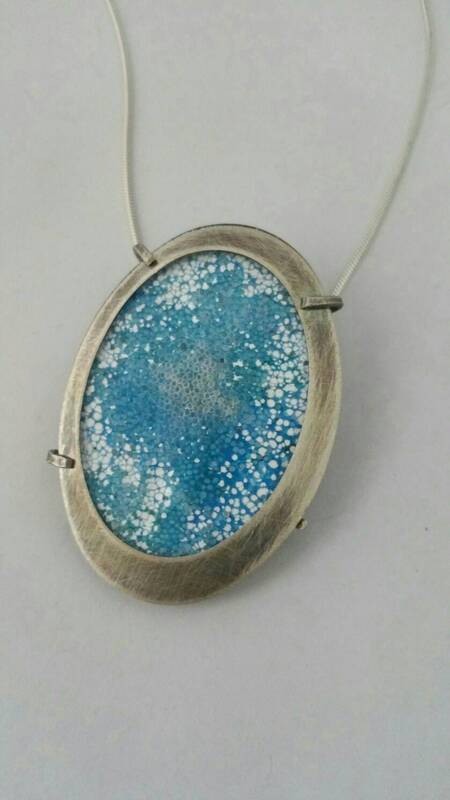 Tiny circles were drawn onto surface and fired in kiln a 2nd time. 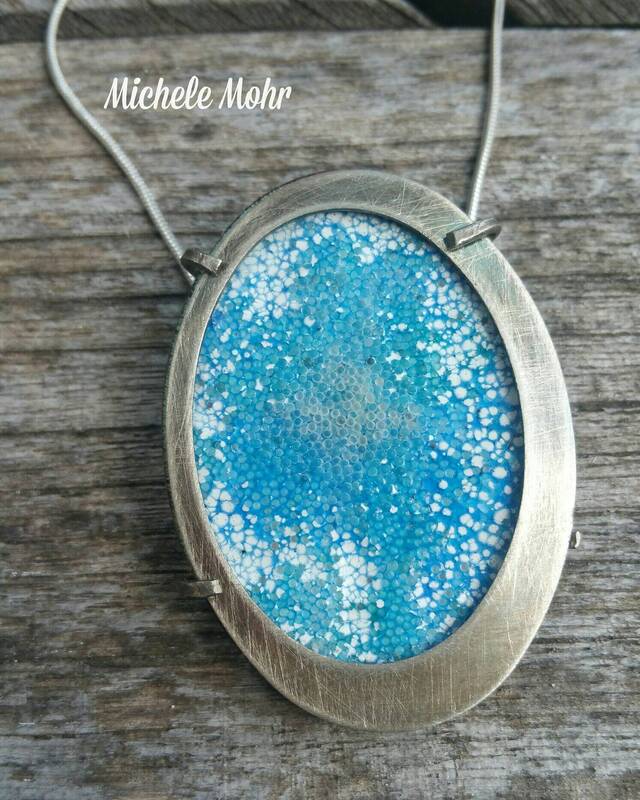 Various blue enamels were sifted onto the piece and fired multiple times. 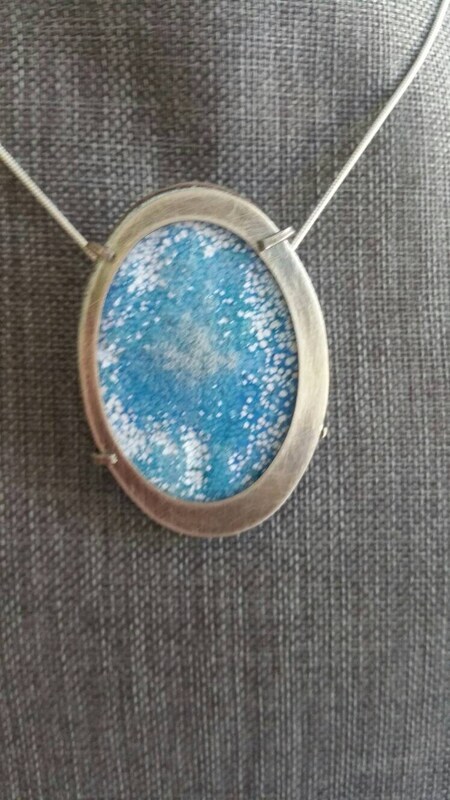 Small beads were added for texture and fired in kiln once again. 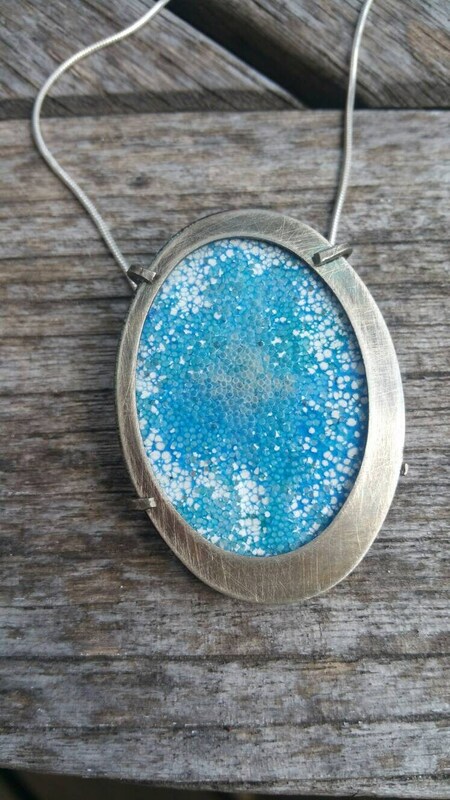 Multiple layers of enamel were fired onto the back to balance and strengthen the glass on the copper. The piece was etched once again to give matte surface. 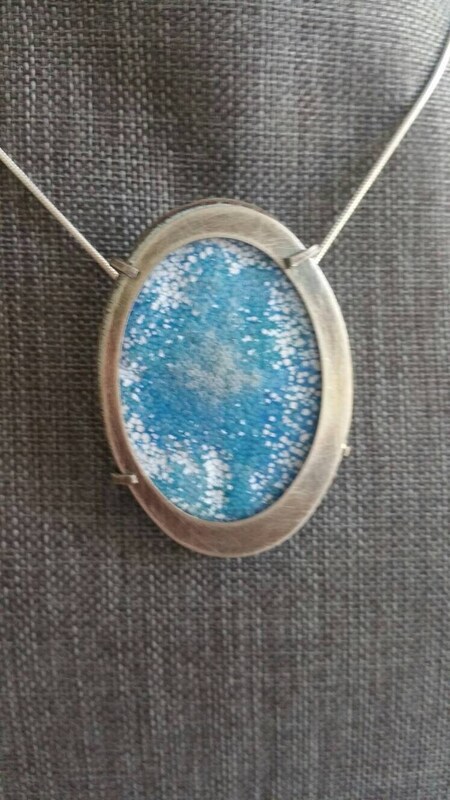 Sterling silver .925 oval back and frame were hand cut. Silver tube was soldered to back and wire claws were hand cut and soldered and filed and formed to frame piece. The sterling silver was oxidized with liver of sulfur and polished. 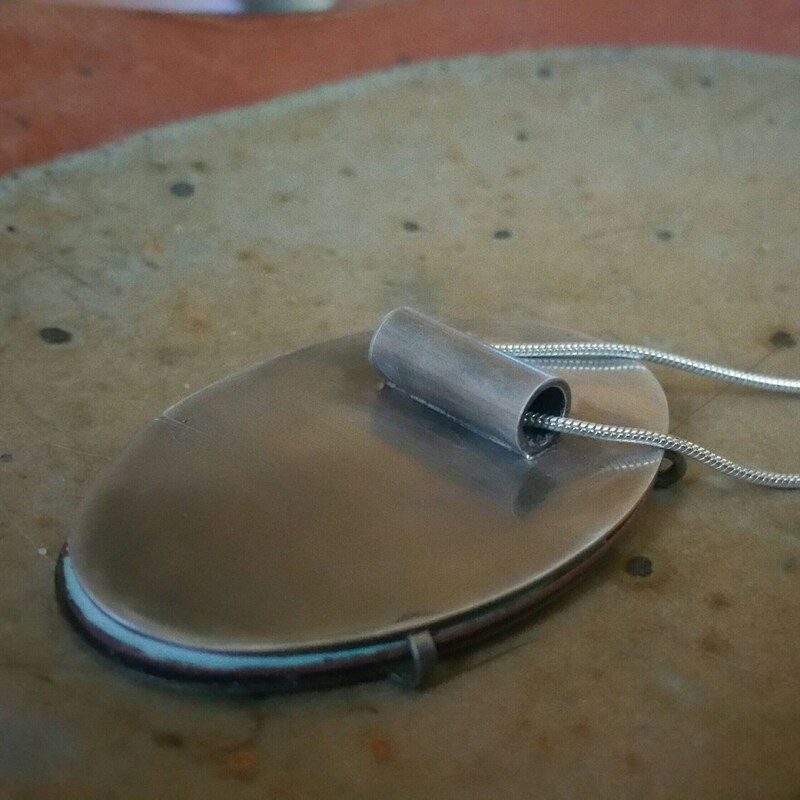 Pendant is approximately 2" in length and 1 3/8" wide. 18" or 20" sterling silver snake chain (.925) Please choose preferred length. Packaged in cotton filled box. Ready for gifting.